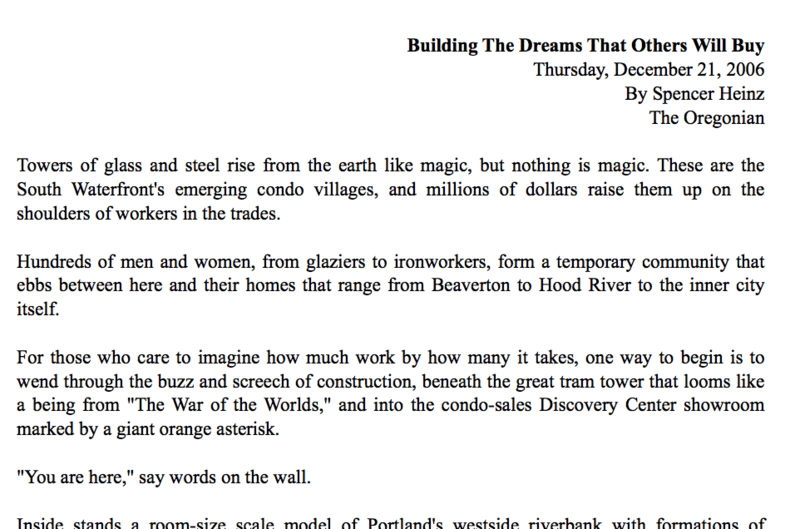 In 2006, Spencer Heinz from The Oregonian interviewed Sean Z. Becker about the construction of South Waterfront condominiums and the buyers who buy them. This article was published on December 21st, 2006. Read “Building the dreams that others will buy” here.